... and my friend Rebecca! My friend had on the CUTEST necklace the other day at church. When I asked her where she bought it, she said what I was hoping she'd say "I made it!" YAY!! I was so excited to make one. She graciously offered to come over the other day and we busted one of these fabulous hand-stamped necklaces in less than 30 minutes. 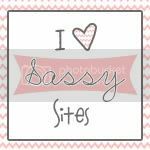 They are super cute and really easy to do! And the best part about is, they hardly cost anything to make! I am going to share a step by step tutorial with you today to show you just how easy these are. Bend the handle of the spoon back and forth until it breaks off. Make sure to leave enough room to make a loop for your necklace to fit in. Sand the end of the broken handle to give it a smooth edge. Decide what you want to spell on your spoon, we love L-O-V-E. Then, take your sharpie and mark where you want your letters to go. Pound down your letters using your stamping kit, starting with the middle letter. This ensures that your letters will be lined up correctly. Take your sharpie and trace over each letter. Buff off access sharpie with steel wool, leaving the insides of the letters black. Then, bend your handle with the pliers, to make a loop for the chain. Make some extra little beads to go next to your spoon. These were easy to make, just using beads and charms. String everything onto your chain! That is so pretty, Marni! Thanks for the easy to understand tutorial. Love the addition of the beads and using a Sharpie to darken the lettering. What a creative tutorial! Thank you for sharing!